Tino pai tamariki ma! The Koanga Festival was a huge success, and that is all down to your hard work and commitment during the year. It was clear that you had all put in time practising your performance at home and there was lots of very favourable feedback for our polished performance and beautiful singing voices. A huge kia ora to all of our whanau who came along to support their tamariki and provide help on the day with getting us all ready for our performance. Ka nui te koa i to koutou maia ki te tautoko ki te kapa haka! 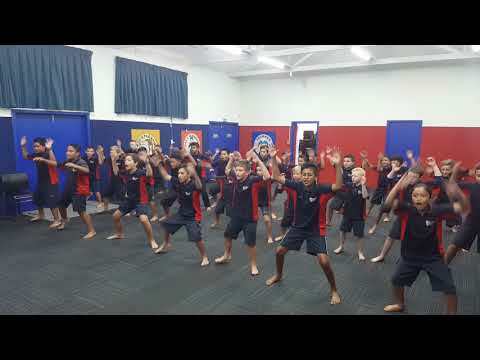 good job kapa haka group. great job kapa haka all of you's were excellent.